Two First Nations communities in southwestern Alberta will stage summer celebrations that showcase traditional Blackfoot culture. The Blood Tribe will host its annual Kainai Pow Wow and Celebration on July 20-22 near Stand Off. pow wow celebration August 3-5 at Crowlodge Park in Brocket, on Highway 3 west of Fort Macleod. Kainai Pow Wow and Celebration attracts hundreds of the top First Nations dancers on the Pow Wow Trail to compete in a variety of dance categories. A professional rodeo is also part of Kainai Pow Wow and Celebration, with competition in timed and rough stock events. Kainai Indian Days also features a midway with a variety of rides and games. 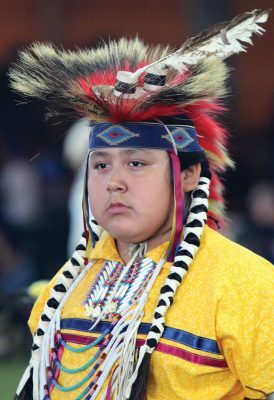 Another component of Kainai Pow Wow and Celebration is the bestowing of honourary Blackfoot chieftanships on people whose work has improved the lives of Blood Tribe members. The Piikani Nation celebration also features a traditional First Nations dance competition, a youth rodeo and a Piikani senior and junior princess competition. Both First Nations communities welcome visitors to their pow wows.